MANILA, Philippines - Entrepreneur Philippines and JobStreet.com recently released a list of schools that generated highest paid employees. The infographic was based on the averages of self-reported salaries of users of JobStreet.com Philippines, which is the country’s top online jobs portal. Ranking of the users’ school was limited to 15 schools with the most graduates among JobStreet.com users. The list also includes rankings for six employment levels or positions including fresh graduates, non-executive, supervisors, managers and CEOs. 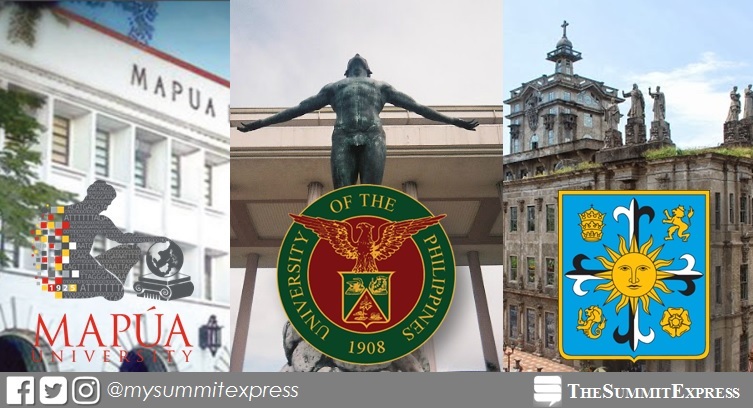 The University of the Philippines, Mapua Institute, University of Santo Tomas, Ateneo University, De La Salle University and Adamson University emerged as the top ranking schools across all employment levels. “The rankings presented in the infographic are based exclusively on self-reported average salaries of JobStreet.com users. Thus, they may not be representative of the actual salaries received by the schools’ graduates in the broader work force. For that, we will have to wait for somebody to conduct an actual survey of a representative sample of the various schools’ graduates or alumni and ask them how much they’re making,” the article reads.